West Hampstead Life | Is it Ginger, or Toxic Orange? Is it Ginger, or Toxic Orange? 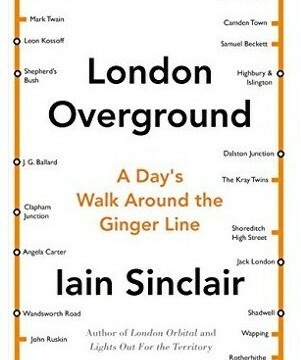 Iain Sinclair came to West Hampstead library on July 4 for a Q&A about his latest book, “London Overground: A Day’s Walk Around the Ginger Line”, and before too long the colour question came up. The Hackney-based author, who walked along in hearing distance of the 33-station ring at the heart of the Overground, called the branding for the ever-expanding network “toxic orange”. But his imagination had been caught by a group of fancy-dress partygoers he met on his way who organise flash gatherings at stations on the ring and call themselves the Ginger Liners. “Maybe it’s only in the Hoxton/Shoreditch hipster area that it’s called that,” he told the sixty-strong audience at the free event run by the Friends of West Hampstead Library At least it has a nice bright colour now. 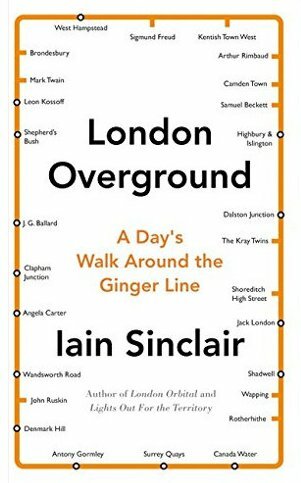 Local author Simon Inglis reminisced about the Overground’s drab predecessor in these parts — the underused North London Line, with its empty, gloomy stations, ghost trains that just wouldn’t turn up, and where you could fear for your life once darkness fell. The reconstruction of our overcrowded Overground station is about to start, but Sinclair’s talk was more of a deconstruction of the line, its past, the developers moving in to build what he has called parasitical flats on every bit of spare trackside land, and how its success has reshaped the mental map Londoners have of how their city is connected. Sinclair was left with a strong impression of how noisy the railway was. He has called it “a 14-hour sigh of mounting, but never-quite-satisfied sexual bliss”. I wonder what he would say of the nerve-shredding metallic grinding of the old North London Line trains. “What’s it like to live there in a new-build flat right by the train line and hear the announcements from the platform?” he said. Hundreds of new West Hampsteaders will soon find out – in stereo, Inglis joked. Developers of the new West Hampstead Square blocks rising up between the Overground and Underground have decided to rebrand it as Heritage Lane. “What heritage?” Sinclair asked. West Hampstead does not having a starring role in his book, but is wedged between expanded musings on Willesden-based expressionist painter Leon Kossoff and Freud up in Hampstead’s Maresfield Gardens. 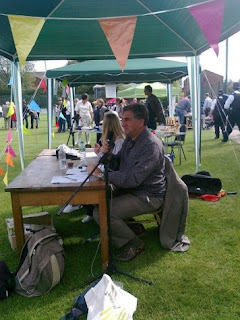 Sinclair, from Wales himself, has written many books focusing on sense of place in London including London Orbital, about a bigger circular walk he took around the M25. If you would like to support the library’s future via the Friends, click here. Overground redevelopment starts soon… and takes how long?